We are now living in an era of great acceleration and those elements and traits that are not so-called “standard” will be eliminated or neglected. All the extraordinary is simplified down to the ordinary. Civilization and life are forced to expedite in a dramatic way. However, what will happen next? How can we return to the Earth? Mach Number, as a terminology, is as fast as the speed of sound. It describes how fast an object moves. When a spacecraft returns to the Earth, the fastest speed can reach 24 Mach, which will result in the risk of stall-out and make the astronaut’s body fail to sense any slight nuances from outside. However, a spacecraft maneuver called “Aerobraking” is a way of slowing down a spacecraft by using the atmosphere or outer gas layers of a planet. When the craft “dips" into the atmosphere, the molecules of gas in the atmosphere rub against the spacecraft, it acts as a resistance and slows the spacecraft. This stall-out situation can be referred to the present moment that human-being is experiencing. The explosion of information and exhibitions inevitably are problematized and victimized by Consumerism. 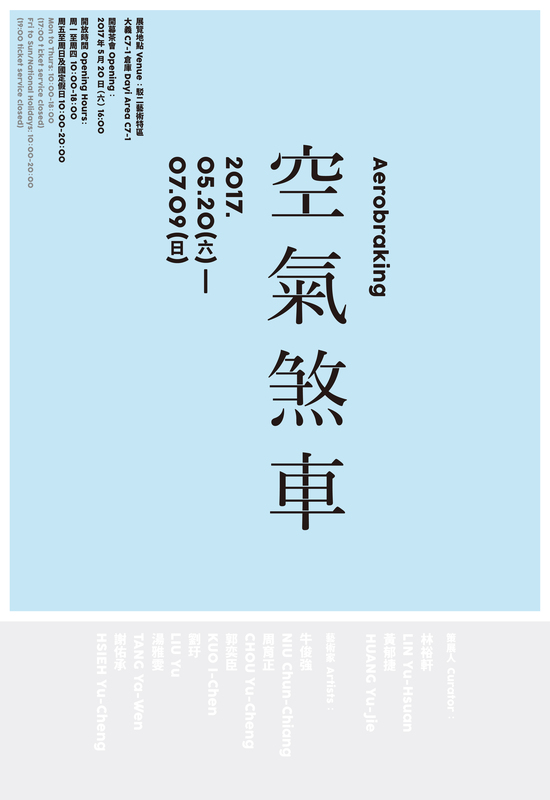 From this point, as a metaphor, this exhibition becomes a platform to function like Aerobraking does to the spacecraft. By constructing the dual narratives from both artworks and systems, this exhibition tends to get the audience out of the stall and maintain the particular experience in an exhibition. In this way, an artwork acts as an effective and available tunnel, leading the audience to travel through a specific artwork (the tunnel), turning around the angle of view and offering alternative path to read an artwork. How is an artwork produced? From this humble inquiry, this exhibition explores how an artist’s way of producing continuously transforms in the social system, needling and weaving those untold narratives. These invisible contexts are embodied in the artworks, bridge each individual and articulate for the society. A social system is a gigantic machine. This exhibition retrospects intuitions of producing and the key characters behind the scenes. Through these tunnels built by artworks, we are invited to have a macro imagination toward a new system in the future.